Between 2008-2017, in the Romanian insurance market, MTPL was the only insurance class that maintained a positive dynamic. 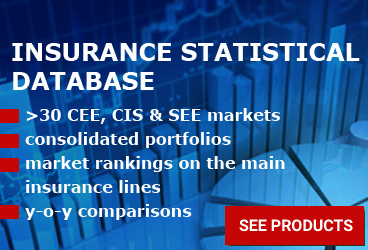 MTPL, together with the Life insurance segment, had the biggest influence over general market evolution. 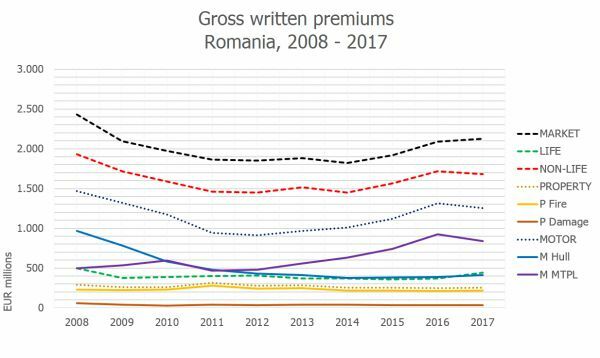 The Romanian market is still recovering after the post-crisis effects. Life and non-life sectors kept a relatively constant share in the market. 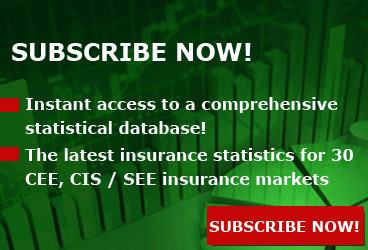 Life insurance segments represented 17.8-21.8% from total market while non-life segments were 78.2-82.2%. Non-life sector was mainly composed of Property and Motor insurance, with these two categories representing about 82-92% from non-life total. In the non-life sector only, Property insurance weight was 14.3-21.6%, Motor hull 22.8-50.1% and MTPL 26.0-53.7%. While Property weight was mostly around the same share values, Motor hull was slowly replaced by MTPL. MTPL was the "queen" of the market. 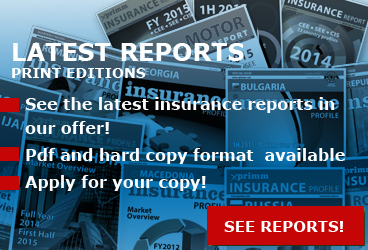 It was the only insurance segment that recorded y-o-y increases. By the end year, MTPL increased by EUR 336 million (+67.2%), from EUR 501 million in 2008 to EUR 837 million in 2017. 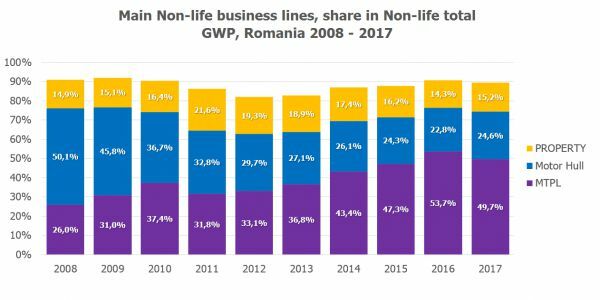 MTPL is also the weightiest class compared to any other business line from Romania. 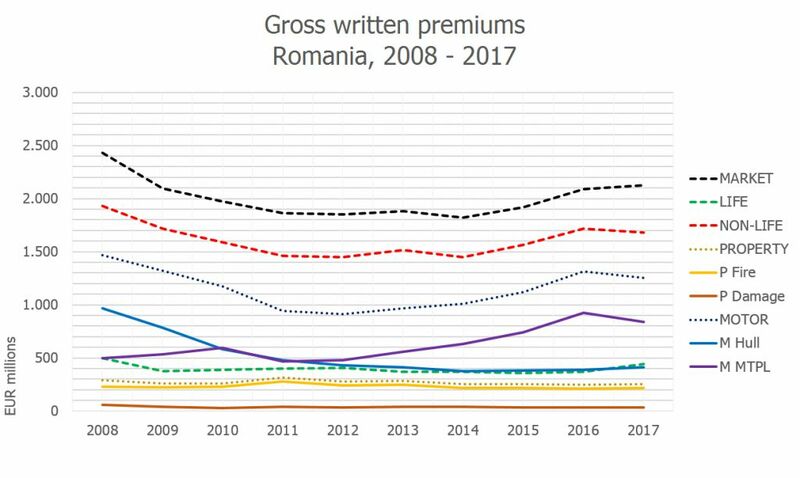 MTPL, a mandatory type of insurance, and the low level of insurance penetration degree in Romania reflect great potential for increases in the future. In the final years, the tiny progressive reduction of Property and Motor classes in non-life indicate that other non-life business lines are emerging in Romania. 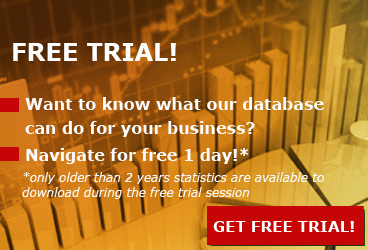 Access http://www.xprimm.com/shop/country-profiles/Romania to download our statistical files. 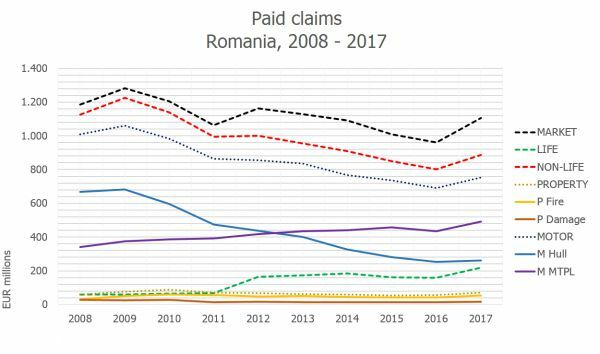 Romania FY2018 can be found here.